Buses run between 6 a.m. until 6:30 p.m. Monday through Friday, except on the following holidays: New Year’s Day, Fourth of July, Labor Day, Thanksgiving Day and Christmas Day. HCT will give advance notice of the days the system will be shut down. 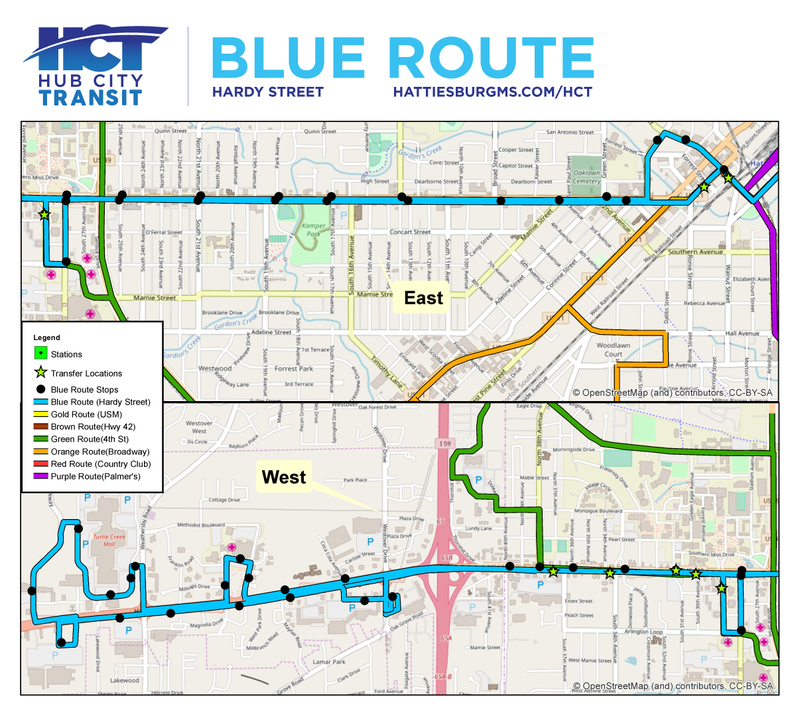 Hub City Transit provides alternative and affordable means of public transportation for the citizens of Hattiesburg. 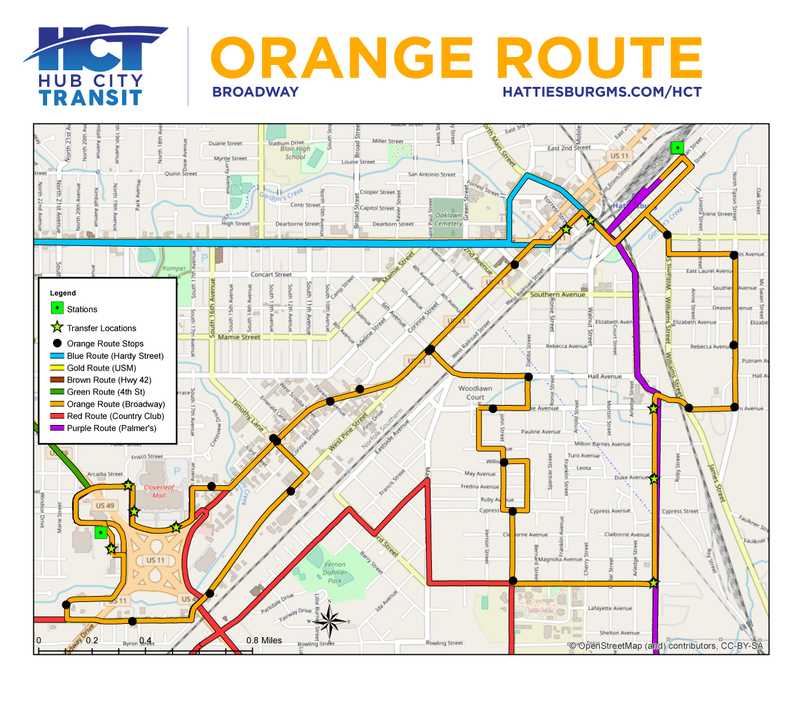 Funded partially by the Federal Transit Administration with yearly allocations, the City of Hattiesburg strives to provide a high-quality transit experience for all. Our Fixed Route Service is available to the public for a minimal fare and can be accessed at any HCT bus stop. Fixed Route passengers may also request reasonable accommodations within the safety guidelines of our services. Requests may be made through the Contact form at the bottom of the page, or by calling our office. 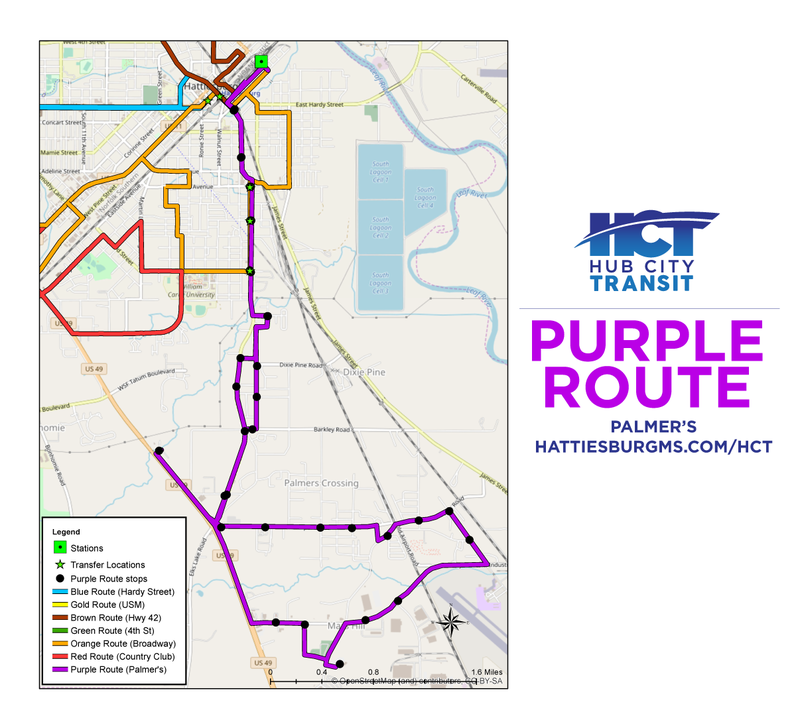 Hub City Transit’s Fixed Route Maps and Schedules are listed below. 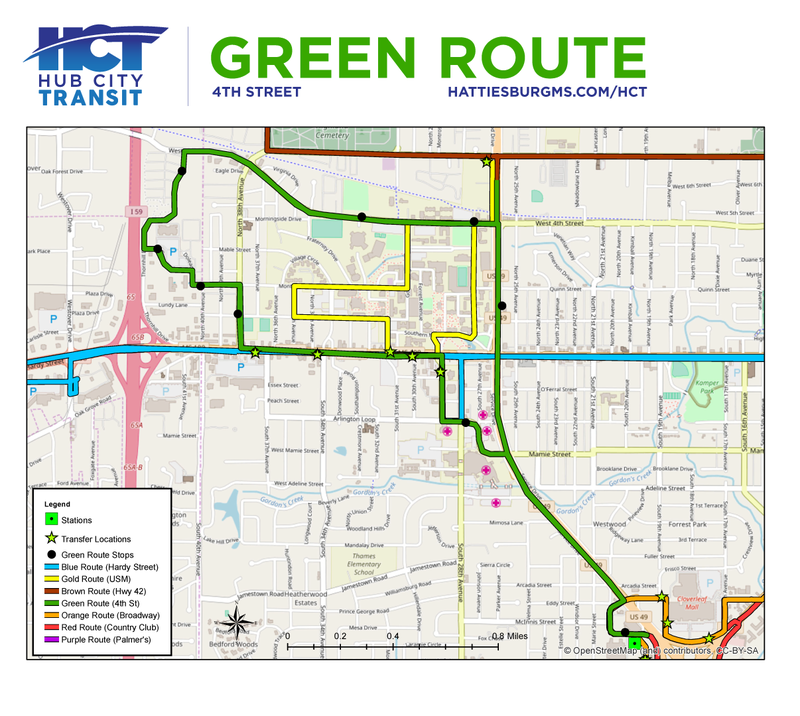 All routes are named by color. 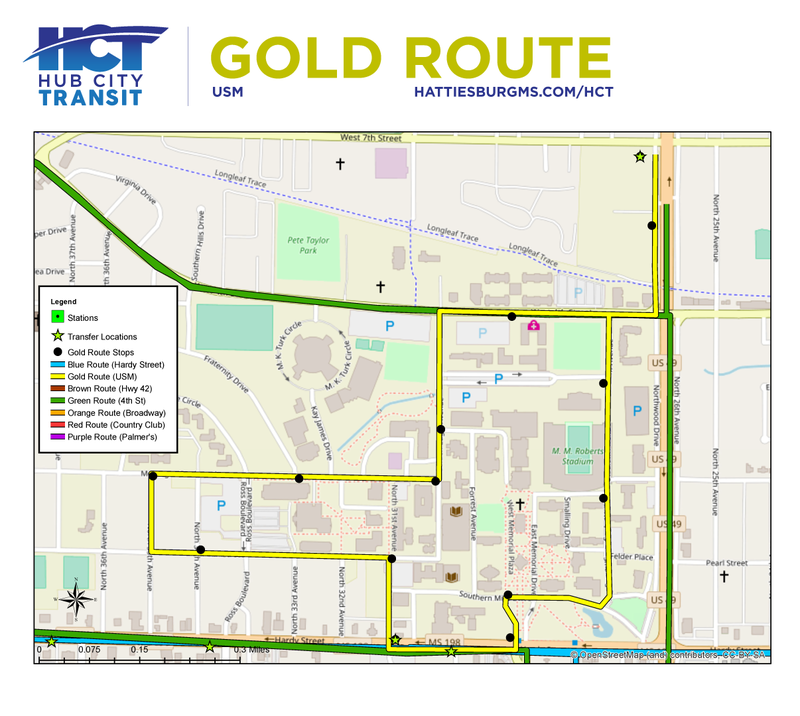 Added two new routes (Gold & Green), increasing the total to 7. Added several transfer stations (where multiple routes come together), increasing the total to 15, to make it easier for you to travel across the city at more points of connectivity. 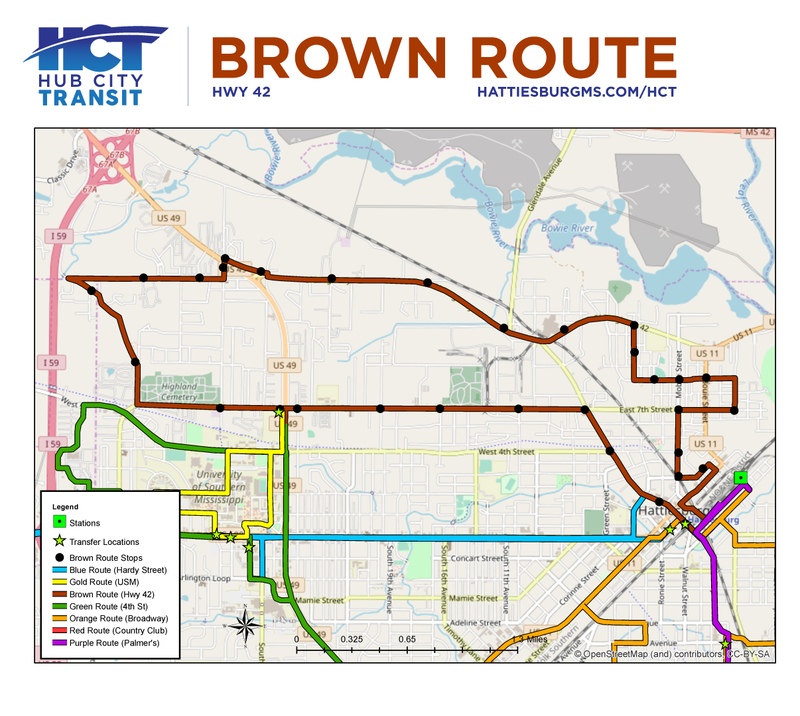 Hub City Transit provides para-transit services Monday through Friday, from 6 a.m. to 6:30 p.m., for qualified individuals with mobility impairments who are unable to use the system’s Fixed Route Service. This service is a demand-responsive, advance reservation, address-to-address and door to door service. 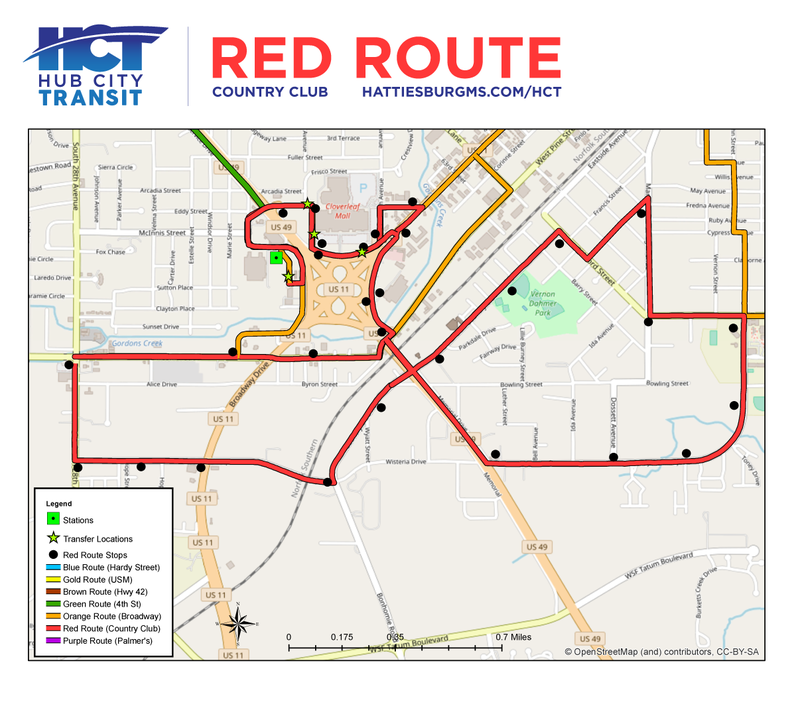 Eligible passengers are not required to live within Hattiesburg City limits of the service area. Wheelchair accessible vehicles are available to assist in transporting persons with disabilities. An ADA Para-Transit Eligibility Application will be used to determine your eligibility for HCT Para-Transit Service. This information is confidential and will not be shared except with persons involved with HCT Transits eligibility determination process. The application processing time is approximately two weeks, and individuals will receive a written notification letter by mail. Re-certification for para-transit services is required every three years.